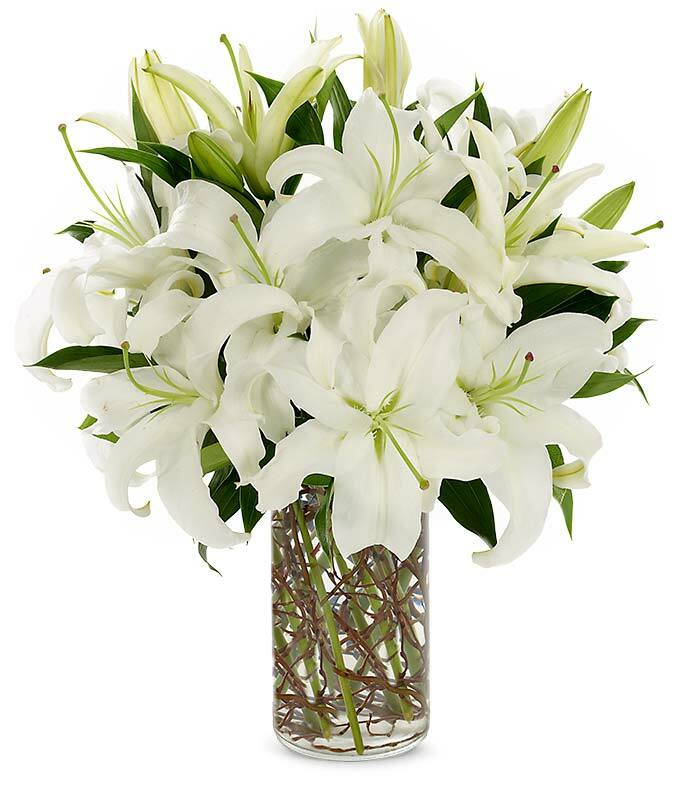 White lilies are the essence of grace and refinement...and this remarkable arrangement is all that. A clear cylinder vase and curly willow accents finish off a look of rare beauty. This all white lily bouquet is ideal for anniversaries or a table centerpiece. Measures 18"H by 14"L.